The following interview was conducted by Matthew Hochberg. 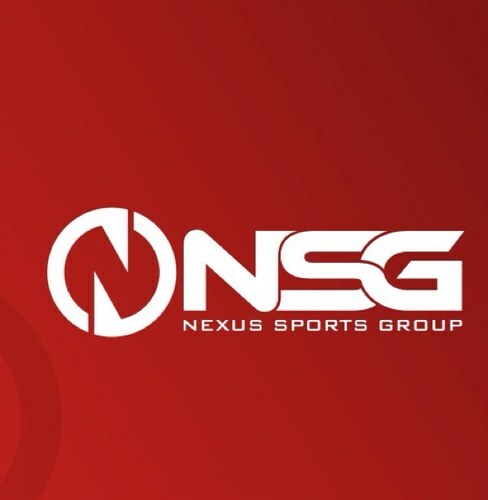 The subject of the interview is Andre Pacheco, Founder/CEO of Nexus Sports Group. Matthew Hochberg: How did you originally get into the sports agent industry? Andre Pacheco: Originally, I was a college soccer player at Hartpury College. I went back to Bermuda, where I was born and raised after completing my degree in Sport Science. I had a job as a substitute Physical Education teacher but soon realized I wanted to go back to school to focus on the business side of sports. I went to Canada (Brock University) to purse a degree in Sport Management. I always wanted to be involved with soccer. I worked in the local community and briefly touched on the scouting and agency sides of the business. Those experiences led me to start my own sports agency, dealing with soccer players. For the most part, I was very knowledgeable on the sport. In 2012 I started the company, Nexus Sports Group and later I brought on a partner, Travis Mills. Our headquarters are in Ontario, Canada, and we also operate out of Bermuda. Matthew Hochberg: Who was your first client? How did you handle your first contract negotiation? Andre Pacheco: Robert Giacomi, who is Canadian Goalkeeper. We have been working together since the end of 2012. We are currently in contract talks with some clubs, but cannot go into detail for legal reasons. I was nervous for my first contract negotiation. I worked on it with a partner. He took the lead and I kind of sat in the back and absorbed, and learned. However, we gave each other pointers and helped each other out when needed. Matthew Hochberg: Who do you currently represent? Andre Pacheco: Roberto Giacomi, Ryan Maduro (Formerly of the NY Red Bulls), Sergio De Luca, Emanuele Ameltonis, Nick Palazzi, to name a few. Matthew Hochberg: What is your most memorable moment working in the sports world? Andre Pacheco: Meeting Andrew Ornoch, a Canadian pro player who was playing in Holland at the time. He enjoys working with youth players and giving back to the community. He wanted to start a soccer academy named Dutch Connections FC in Canada that teaches the Dutch style of play to players of all levels. It was an honor to help him achieve his dream. Matthew Hochberg: Do you have any advice for agents looking to break into the business? Andre Pacheco: For new agents I would just say keep at it. There have been times I would say I don’t think I can do this and wanted to give up, but persistence pays off and I enjoy each moment of it now. If you keep going at it, eventually things will work out – just keep at it. Matthew Hochberg: I know you are just starting out, but do you offer any internships to people looking to break into the industry? Andre Pacheco: At the moment, we do not as we are a new company but we most certainly will in the future. On behalf of SportsAgentBlog.com and all of our readers, I would like to thank Mr. Pacheco for taking the time to share his knowledge and personal experiences with us. You can check out his company’s website here and follow him on Twitter here.